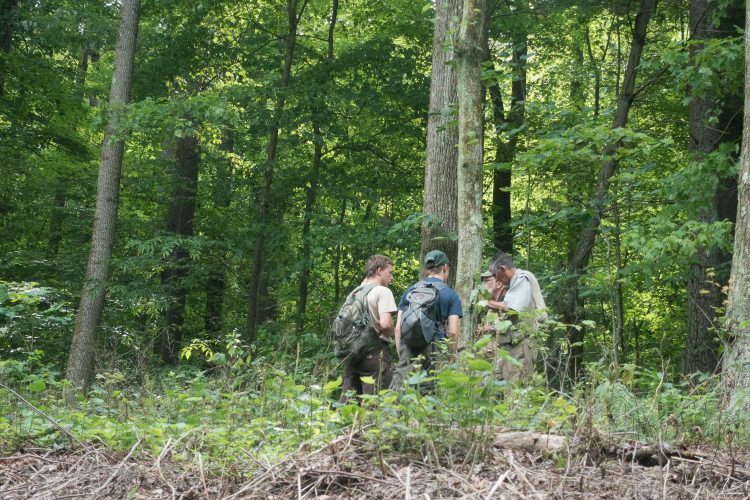 The 2016 summer foray was held in Carroll County, located in eastern Ohio. Carroll County is within the unglaciated Allegheny Plateau physiographic region, and the bedrock geology underlying the soils are of Pennsylvanian age. These rocks are primarily acidic sandstones, but coal, siltstones and limestones are intermixed. OMLA at Carroll County July 16, 2016. Approximately 50% of the county is in farmland. Much of the forested area, and larger lakes, lie within the Muskingum The Muskingum Watershed Conservancy District (MWCD). The MWCD was formed in 1933 to reduce the effects of flooding of the tributaries of the Muskingum River. The land conserves water and land, and provides recreational opportunities. 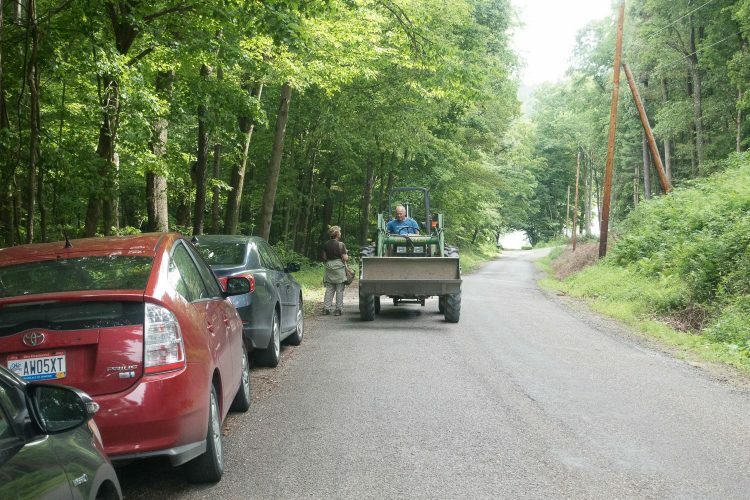 The MWCD granted OMLA permission to collect on its lands. Tetraphis pellucida grows on stumps in woods. Tetraphis pellucida produces asexual gemmae in cup-like rosettes of leaves atop many stems. 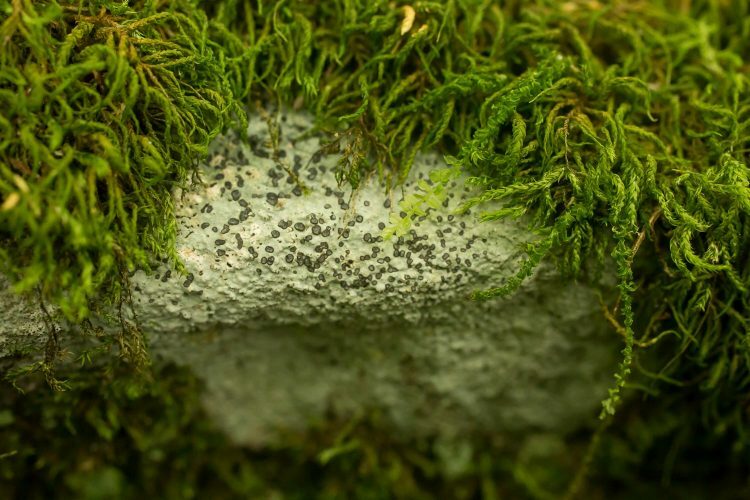 A total of 21 macrolichens were recorded during the Summer Foray. Of these, 11 were new for Carroll County (designated by N in the table below). The fruticose lichens, Evernia mesomorpha and Usnea strigosa, were seen on several fallen branches and tree tops. These species are becoming more common in Ohio due to improved air quality. 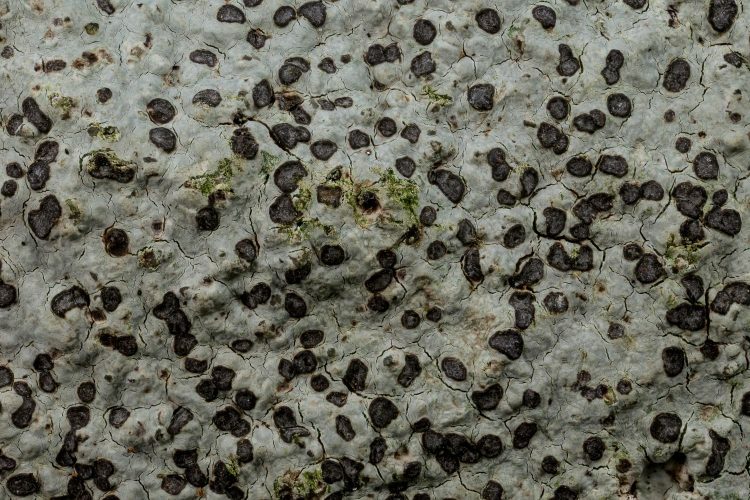 One lichen, Bryoria furcellata, is rare and is discussed in an accompanying article in this issue. Looking for liverworts in a sandstone boulder. Crustose lichen Porpidia albocaerulescens and moss Anomodon attenuatus on rock in woods. 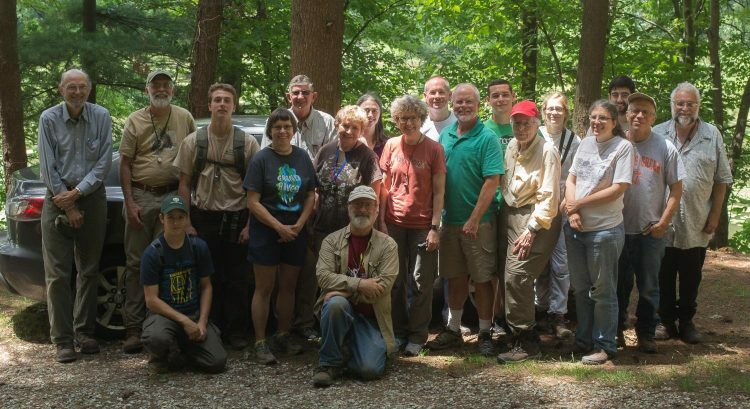 A total of 69 bryophytes (53 mosses and 16 liverworts) were collected from Carroll County. 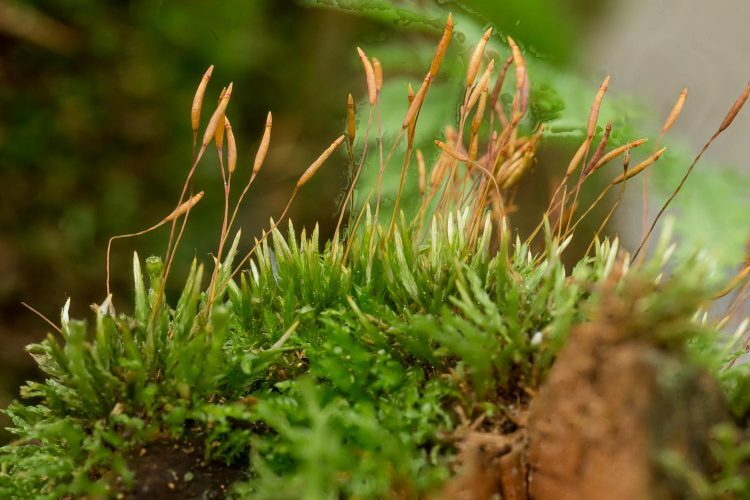 Prior to the summer foray, 27 mosses and no liverworts had been reported from the county. Taxa new to the county are indicated by an N in the list below. 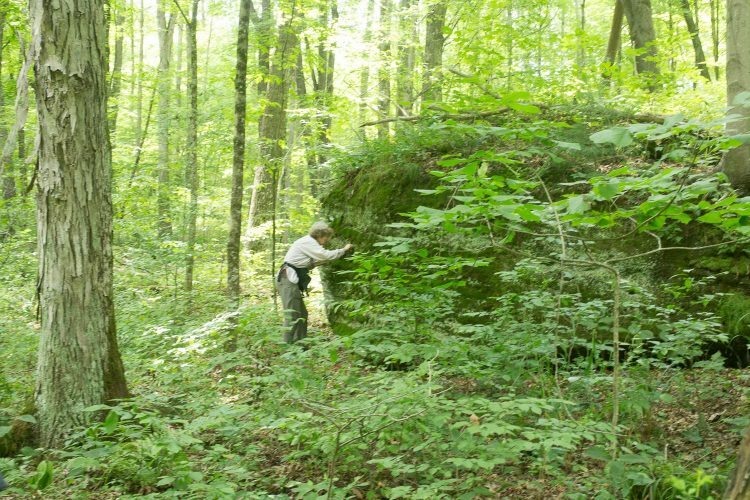 Thanks to contributions from Becky Smucker, the list of 16 liverworts reported from Carroll County rivals that of any Ohio county. 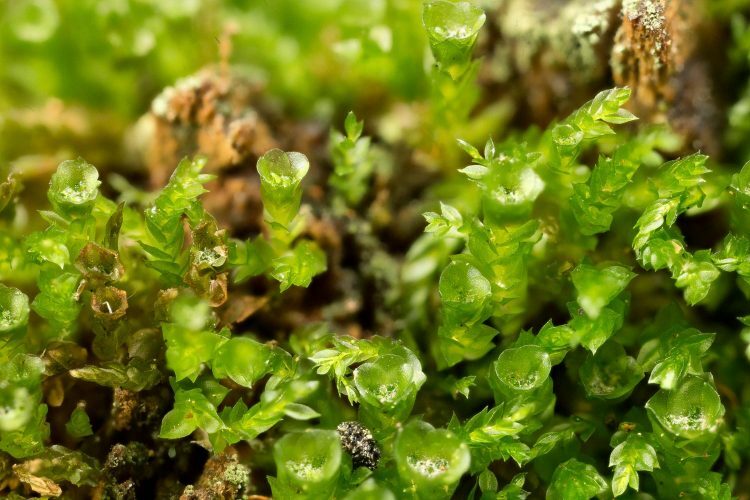 All the liverworts are county records, and 42 of the 53 moss records are new to the county.